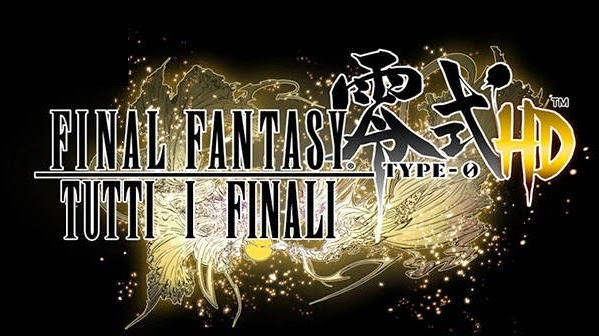 This section of the guide to Final Fantasy Type-0 HD, we will see how to get all the endings of the game while also unlocking the final scenes alternative that deepen the story of the game. The real is its final 2 are substantially the Final Classic and the Alternative, however, there are as many as 3 Final Scenes that can be unlocked by completing certain requirements, a scene in most of the original version for PSP. WARNING! - This is a guide to the final, so it is clear that you will find spoilers about the end of the game !!! During the Chapter 8 - The Verdict Finis there will be offered a choice immediately after defeating the IRON GIANT. We may in fact decide whether the CIE or REMAIN BECOME DEATH. By choosing to become L Cie immediately unlock a new chapter called CHAPTER DARKNESS 'when the world is destroyed and after the final scene you will get a Game Over bringing the player to the stage of the selection. During the choice mentioned in the previous final, choose to REMAIN DEADLY and play the adventure to the end. Beat the game to unlock it just before the credits. This scene, added in version HD shows a possible sequel to the series TYPE. Finish the main story to watch this final section only from HISTORY of ANNALI VERMIGLI Dell ' Academy inside or from the main menu. This scene shows the birth of Rem and Machina. Complete a second time the story, with the new game + to watch this final section only from HISTORY of ANNALI VERMIGLI inside Dell ' Academy. This scene shows members of the Class 0 in a probable / possible? future.